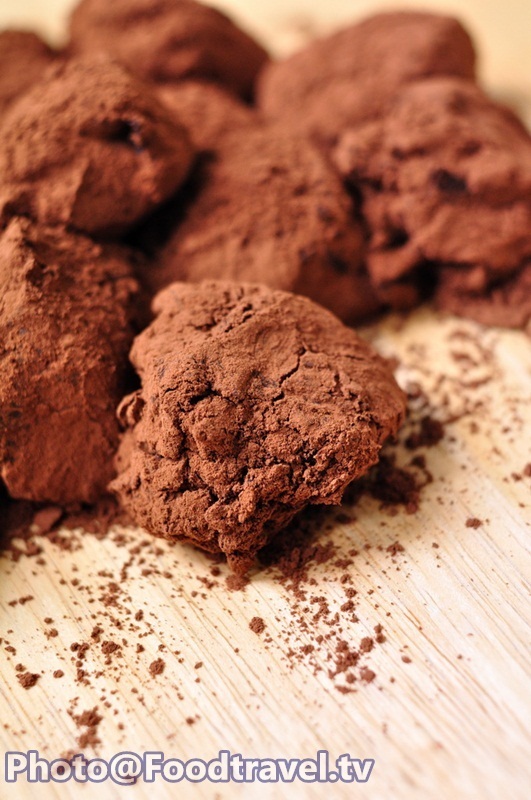 Chocolate Truffles - Simply delicious and very easy to make. Let’s make Chocolate Truffle together with your family. 1. Boil cream then leave it cool down for a moment. 2. Put egg yolks into the cream and stir well. 3. Pour chocolate down and combine well. Then put butter and mix together. 4. Use plastic wrap cover on the chocolate surface. Then set aside in the refrigerator for about 6-8 hours. 5. 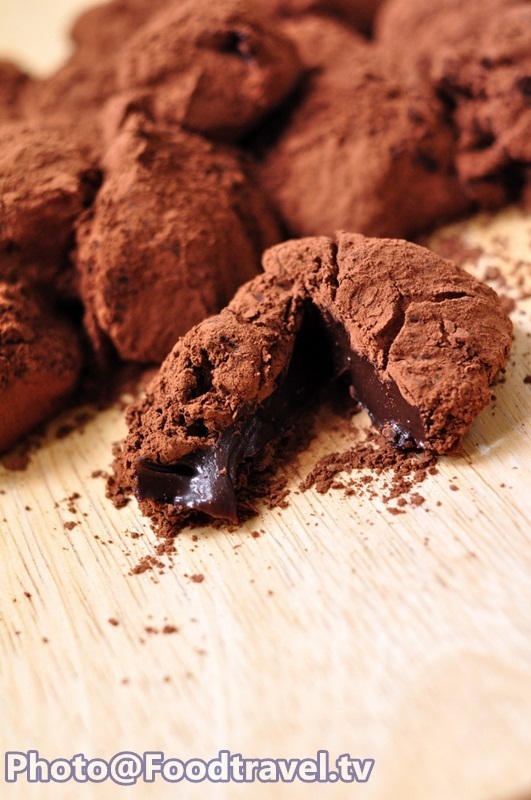 Mold chocolate and then mix with cocoa powder or sprinkle with icing sugar. Ready for delicious. Add brandy for sweet and mellow taste.